With a house full of males, you can bet that our family will be in front of the TV this coming Sunday, watching the big game! It is always a great night filled with football, fun, and lots of yummy food! Figuring out what to feed the family and any visitors we may have is always tricky, and I have gotten stressed about it in the past. If you can relate, read on! 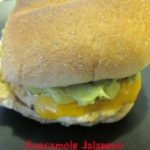 The best football game food is easy and delicious. You can impress everyone and barely lift a finger! 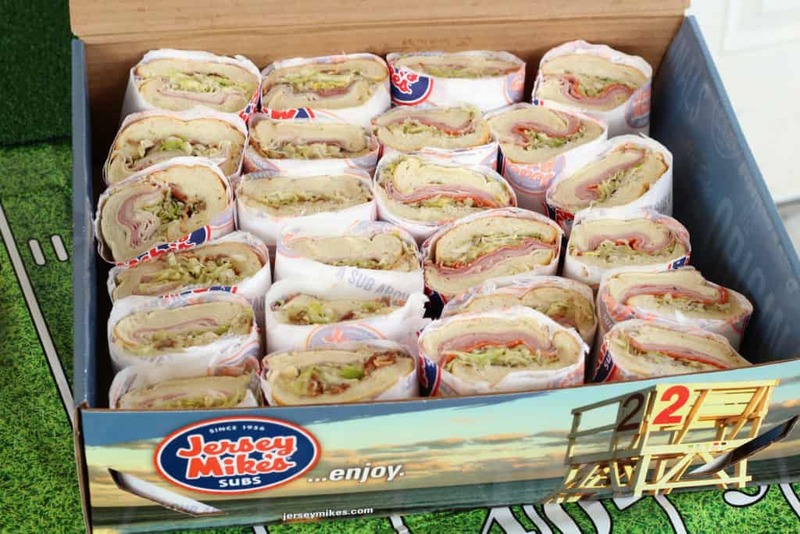 Everyone in my house loves sandwiches, so the best choice is a Jersey Mike’s Catering Box. 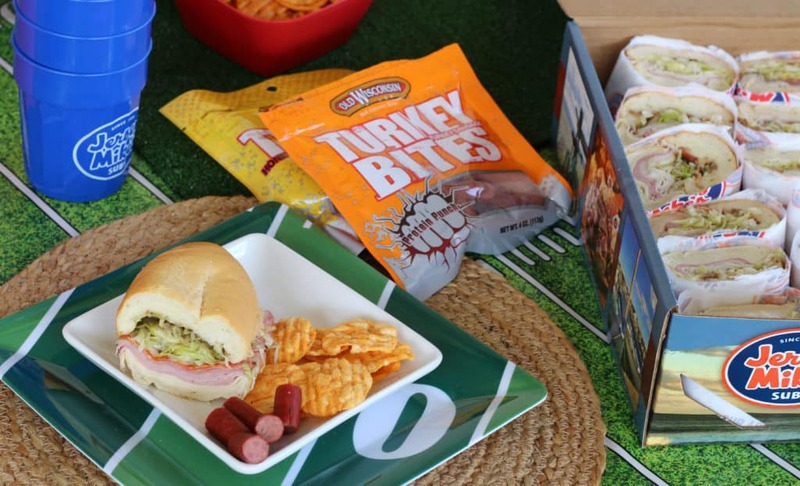 Order online or call ahead to place your order of the perfect mix of subs – hot or cold – for your big game party. 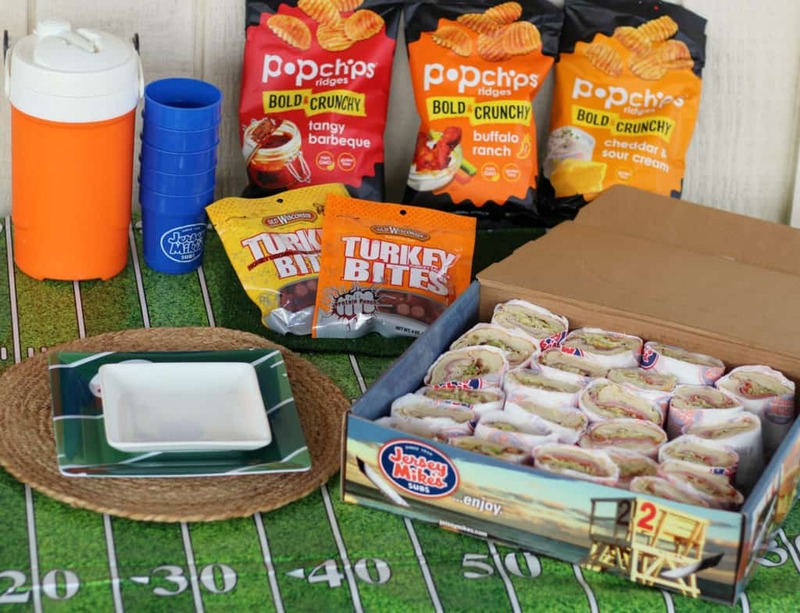 Jersey Mike’s is the an easy catering solution for any party, but sub sandwiches and football seem to go well together! Everything is customizable! I ordered The Original Italian, Club Sub, and Club Supreme, which provided us with 24 hand held sandwiches to make everyone happy! 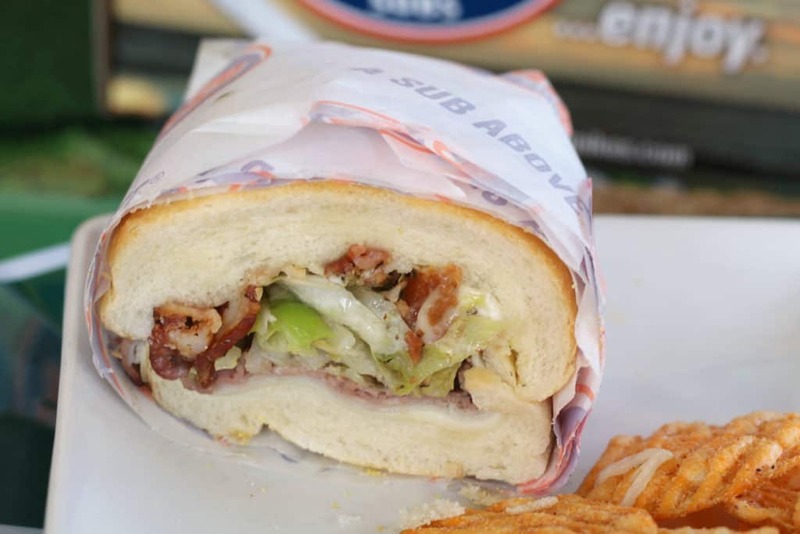 Jersey Mike’s online ordering made it SO easy. I opted to leave the tomatoes and onions off, but Jersey Mike’s lets you easily check what you want and how you want it. When I went into our local store to pick up our order, it was ready and all I had to do was grab the order and go. They sent us with lots of napkins and condiments to make catering the big game party much easier. 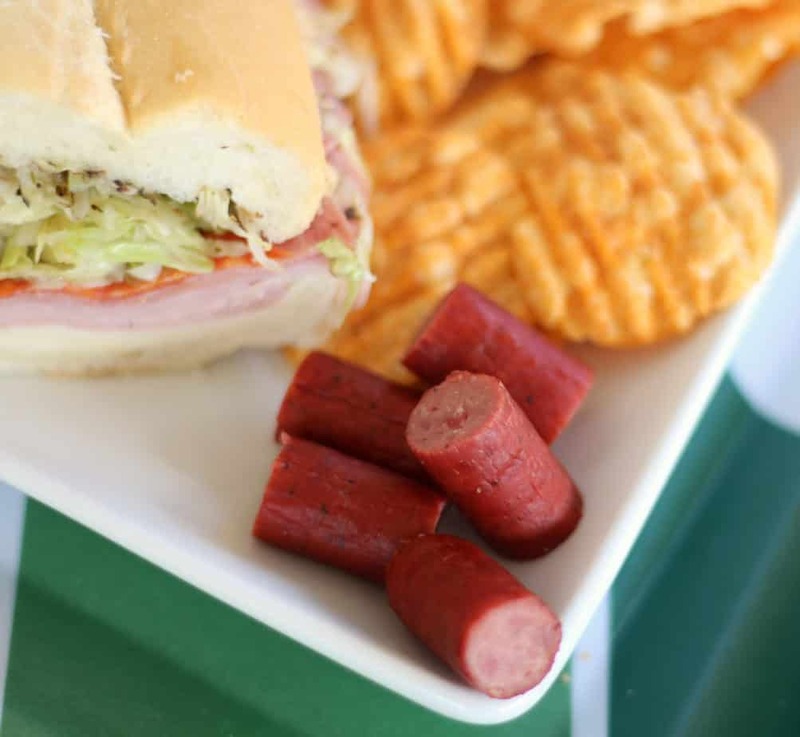 Subs and chips go hand and hand, so pick up some healthier snacks like popchips. 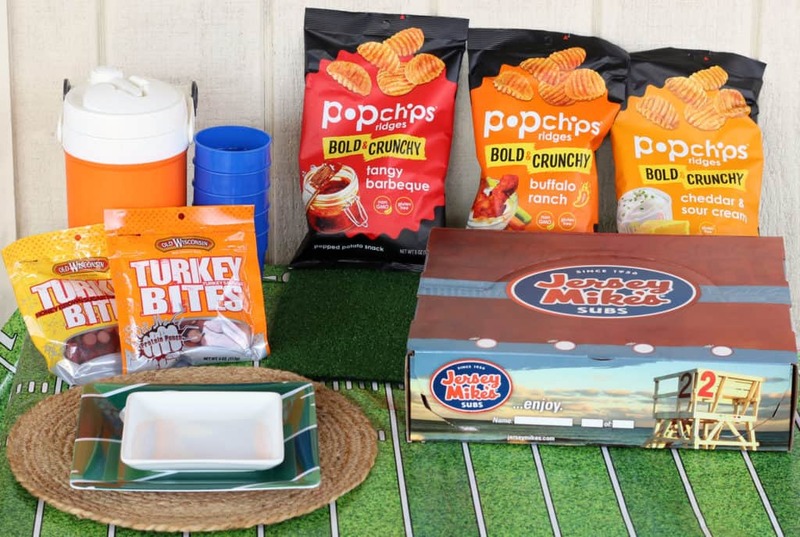 Nothing says football like buffalo ranch, and Buffalo Ranch Ridges are no exception. 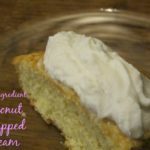 They are great for football game food! 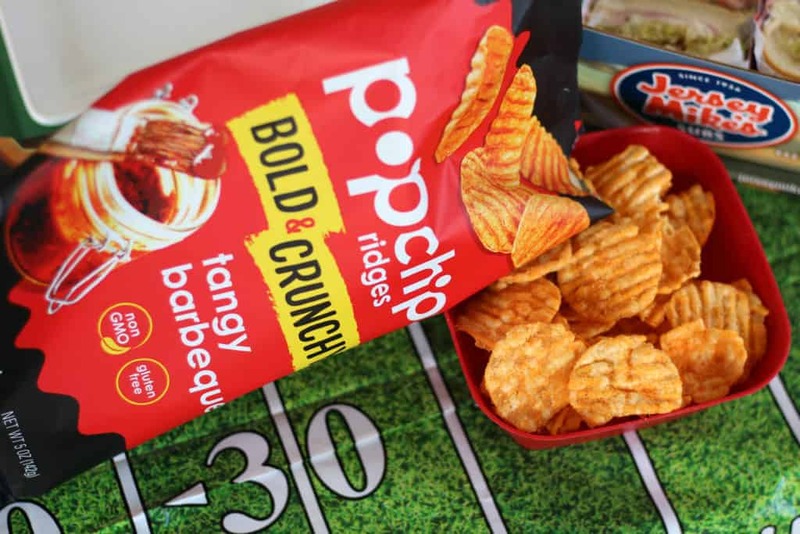 Other delicious flavors of popchips to serve at your big game party – Cheddar & Sour Cream Ridges and Tangy Barbeque Ridges. There is a flavor for everyone! I love that popchips are crunchy, light and satisfying without being greasy. Look for the new packaging for the ridges line and taste the bold flavor and bigger crunch of gluten free popchips. Serve some delicious dips to go with your popchips. 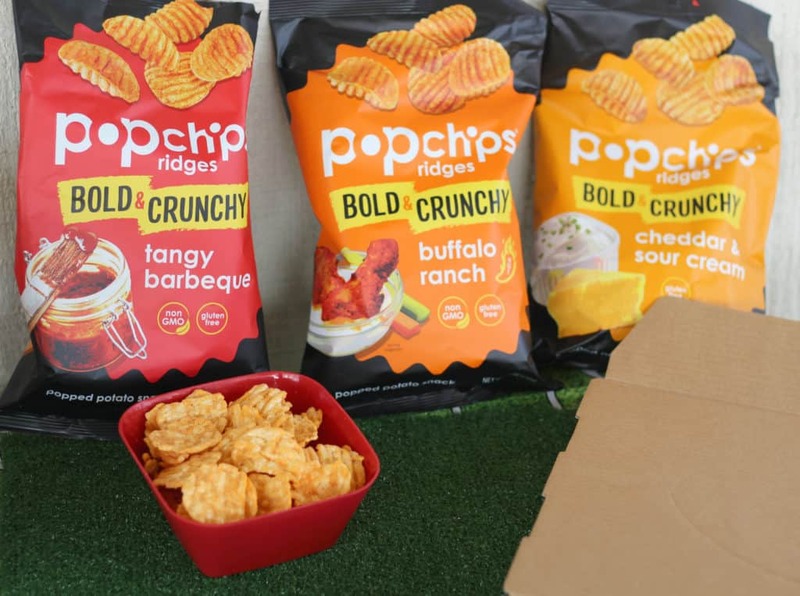 Find popchips at your local grocery store or on Amazon. 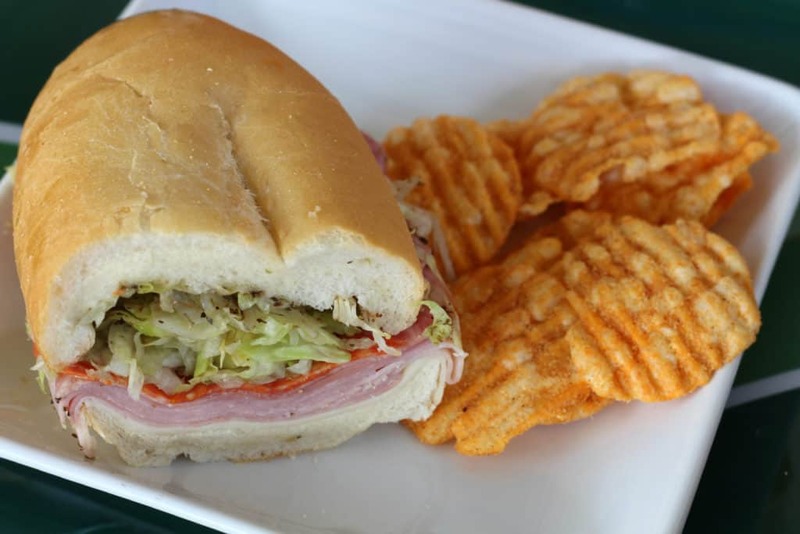 There is something so satisfying about a sub sandwich and crunchy chips, watching THE football game of the year on the TV! 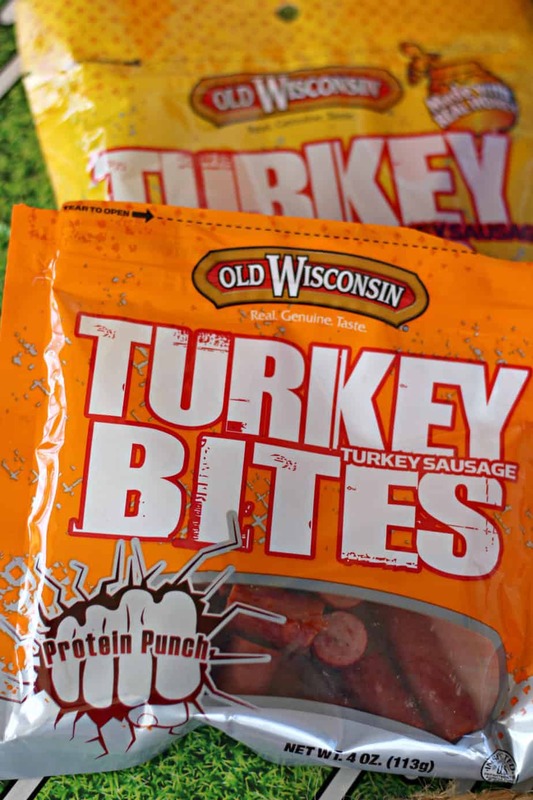 To round out your big game spread, add some protein snacks like Old Wisconsin Turkey Bites. 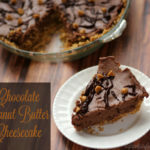 They are great for snacking and made with lean, protein-packed turkey in a bite size. These turkey bites are gluten free and made with high quality meats and spices. 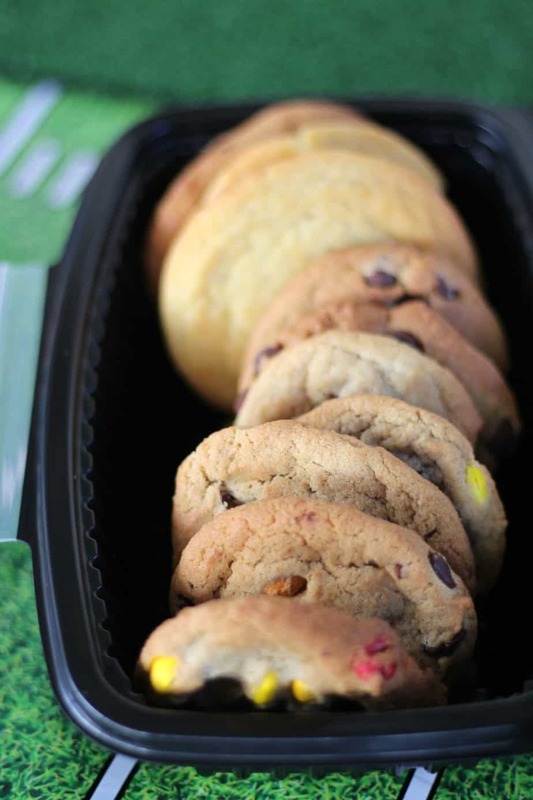 Add something sweet to your game day spread with Jersey Mike’s fresh baked cookies, too! Who will you be watching the Big Game with this year?